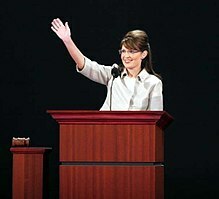 In the months ahead of the November 2010 elections, Palin endorsed 64 Republican candidates, and was a significant fundraising asset to those she campaigned for during the primary season. 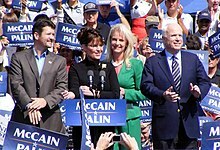 According to Politico, Palin's criteria for endorsing candidates was whether they had the support of the Tea Party movement and the support of the Susan B. Anthony List. 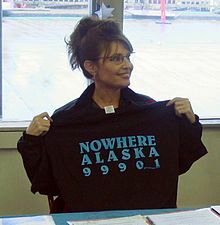 In terms of success, Palin was 7–2 for Senate endorsements; 7–6 for House endorsements; and 6–3 in endorsements of gubernatorial candidates in races that were considered 'competitive'. 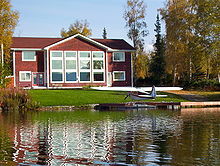 Palin's endorsement of Joe Miller in the August 24 Alaska primary election for U.S. Senator was identified as a pivotal moment in Miller's upset of the incumbent Republican Senator Lisa Murkowski. After losing the Republican Party primary to Miller, Murkowski ran as a write-in candidate, defeating both Miller and Democrat Scott McAdams in the general election, winning with a plurality. This made her only the second U.S. Senator, the first write-in candidate to be elected since Strom Thurmond in the United States Senate election in South Carolina, 1954. According to The Daily Beast reporter Shushannah Walshe, Christine O'Donnell's unlikely prospects of upsetting establishment Republican candidate Mike Castle "changed overnight" due to Palin's endorsement. O'Donnell defeated Castle in the September 14 primary for Joe Biden's former Senate seat in Delaware. 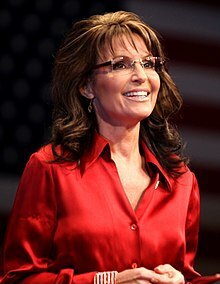 Her O'Donnell endorsement further increased tensions between Palin and the Republican establishment: leading conservative commentator Charles Krauthammer described the endorsement as "reckless and irresponsible". 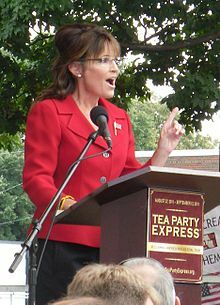 Party strategist Karl Rove argued that it may have been Palin's endorsement of O'Donnell that ultimately cost the GOP the Delaware Senate seat. 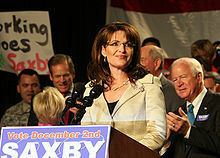 Commentators including Politico's Ben Smith posited that Palin's support of O'Donnell contributed to dashing Republican hopes of regaining control of the U.S. Senate. 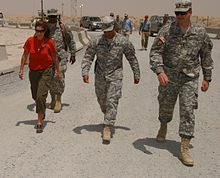 Another Palin endorsement carried Nevada's Sharron Angle to a 40.1% primary win, in the race to beat highly endangered incumbent Senate Majority Leader Harry Reid, but the controversial Angle's nomination sank those chances. Reid prevailed 50.3% to 44.6% in the 2010 election, despite his losing 14 of Nevada's 17 counties. Angle had led by as much as 11% in March and June Rasmussen polling.